Incredible!!! ... Incredible atmosphere!!!!! I loved this hostel!!!!!! The best was the staff, services, the location and the atmosphere! I´ll back. 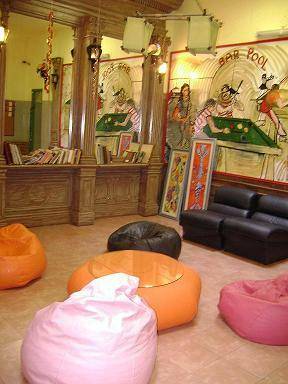 Ayres Porteños is the first thematic hostel of Buenos Aires!! Live a unique and original stay!! Great location on San Telmo neighborhood. Excellent service and the most funny and cordial staff. Spacious and cosy rooms, delicious breakfast, telephone booths, free internet access, Wi-Fi, tango lessons and lot of more services!! We are located at the heart of San Telmo, a historic and touristic neighbourhood, where you will find antiques stores, tango shows, museums, concerts and the best pubs and restaurants. Ayres Porteños is located in a newly renovated classic colonial building, a perfect place to enjoy your visit in a very comfortable and friendly atmosphere. We offer an excellent service distinguished by all our guests! 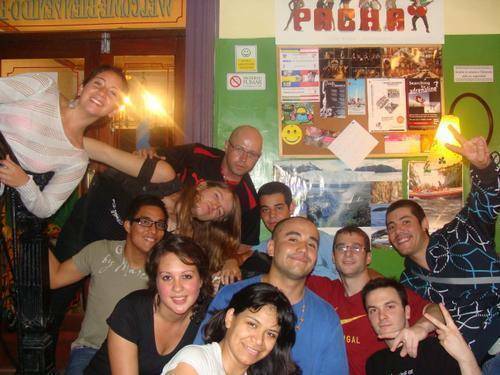 Although is a hostel, Ayres Porteños offers a higher category service for the same price!! We are a qualified and very cool staff. We love what we do and we try to do our best day to day, doing all the necessary changes and improvements that our visitors suggest in order to achieve 100% satisfied guests. We are looking forward to accomplish all your needs 24 hours helping you to organize your activities so you don´t miss a thing! Spacious rooms with heaters, ceiling fans and sommier mattresses. 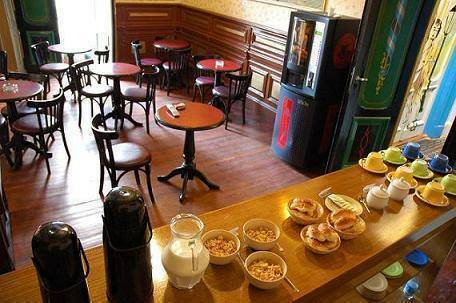 Very complete continental breakfast included: coffee, cold and hot milk, tea, mate cocido, chocolate milk, regular and whole wheat bread, croissants, butter, dulce de leche, cream cheese, 2 types of cereal and orange and grapefruit juice. Free Internet access 24 hs. (2 computers available) and Wi-Fi service in all the hostel. Bar open 24 hs with cable TV. Full equipped kitchen with dishes, microwave, refrigerator and oven. Laundry room with washing machines and driers. All our rooms are luminous and wide and have balconies facing the street. They are equipped with sommier mattresses, heater and ceiling fans. Also are all furnished with table, chairs and closets. The thematic style is related to Buenos Aires, halls and doors mention something about our history. They are full of life, bright colours and paintings done by famous artists from La Boca neighborhood. 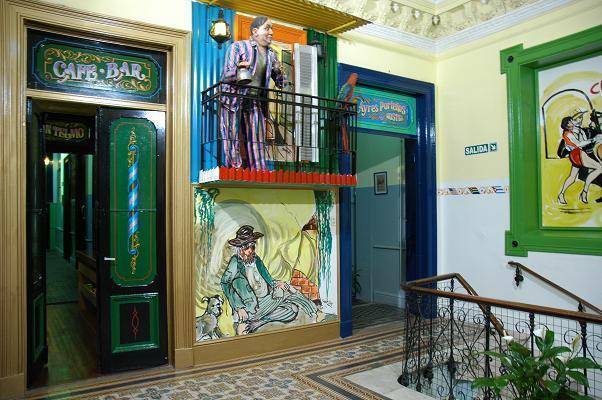 They are also decorated with murals and ï¿½tanguero and porteñoï¿½ art. The rooms have names of tango and argentinean football celebrities, writers and poets among others. Come to discover Ayres Porteños magic, enjoy Buenos Aires and take with you unforgettable moments!! 24-hr front desk Airport pickup BBQ area Bar Bar/lounge Bicycle rental Breakfast included Caf� Car rental Concierge Currency exchange Express checkout Football games Gameroom Gift shop Handicap access Icemaker Internet access Laundry/valet service Linen included Linen rental Luggage carriers Meal plans Medical assistance on call Meeting facilities Multi-lingual staff Newspapers/magazines No curfew Open 24 Hours Parking (extra charge) Parties Pool Table room Religious group assistance Room service Smoking permitted Sports/activities Taxi service Tour/sightseeing assistance Tours in and out Buenos Aires city. All thematic rooms are named like Tango Lyrics, Tango authors, futbol celebrities, Icons of Argentine Culture, like Gardel, Maradona, Fangio and more! Spacious rooms, comfortable like no others. Equipped with, first quality bed's clothes, big closet, table and chairs (in case you want to eat in your own bedroom!) and nightbeds and coat rack in all rooms. Each room contains special decoration about Buenos Aires its life and culture. 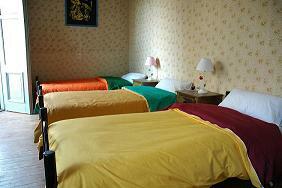 In the rate are included rooms housekeeping, bath and rooms clothes and breakfast. Also free lockers and luggage storage. Our rooms are spacious, comfortable and cosy. With big windows to receive all the sunny light and watch a beautiful view. They are well equipped with new sommier mattresses, ceilings, closets and heat. 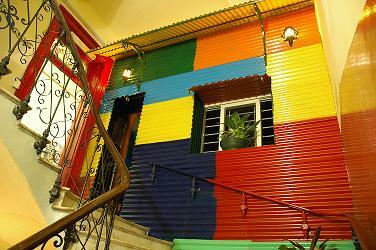 This special hostel is located in the oldest and most visited area of Buenos Aires, SAN TELMO. This is where Tango lives!!! You will always find handcrafted fairs and dancers on the street. Full of national museums, close the well known "Obelisco" on the "9 de Julio" avenue. Location just couldn't be better for you. Available discounts for groups and stays longer than 7 days! To make a reservation online or by phone, consult our web site. Payment with cash. Credit cards, coming soon. -25 minutes away from Ezeiza International Airport (EZE). 5 blocks form Plaza de Mayo, where D and E subway lines are. 20 minutes away from Jorge Newbery National Airport. 7 minutes away from Retiro Bus Station. We offer transfer service for a secure and easy arrival from any airport or station. Or you can ask us to recommend you the transfer that you preferred. Also we are near very important avenues where you can find lot of bus stops to go everywhere.